1490 is for some reason a rather tricky frequency for Brazilian loggings in Northern Europe. During the last couple of years the mos commonly logged has been Rádio Onda Viva, Araguari, MG on its clear split above 1490. But also Onda Viva is pretty difficult. 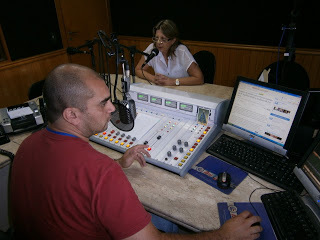 Rádio Cultura, Xaxim, SC has been logged in Lemmenjoki by at least Jari Ruohomäki and myself during the last years. Xaxim is a town and municipality in the state of Santa Catarina located some 600 km west of the State’s Capital Florianópolis close to the boarder of Argentina. Rádio Cultura started broadcasting in 1960 and carries 2000 watts day and 250 watts nigh. A short message of confirmation was receives recently from Gerencia Administrativa, Rádio Cultura Xaxim.